Published on April 3, 2011 by Martyn. Be the first to comment! 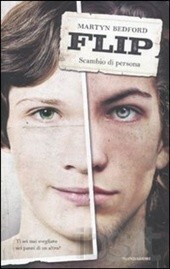 Here’s the cover of the Italian edition of Flip, published by Mondadori. A striking image but I’m not sure I’d fancy bumping into this lad down a dark alley!